Campers start the morning off getting their hands dirty with clay. 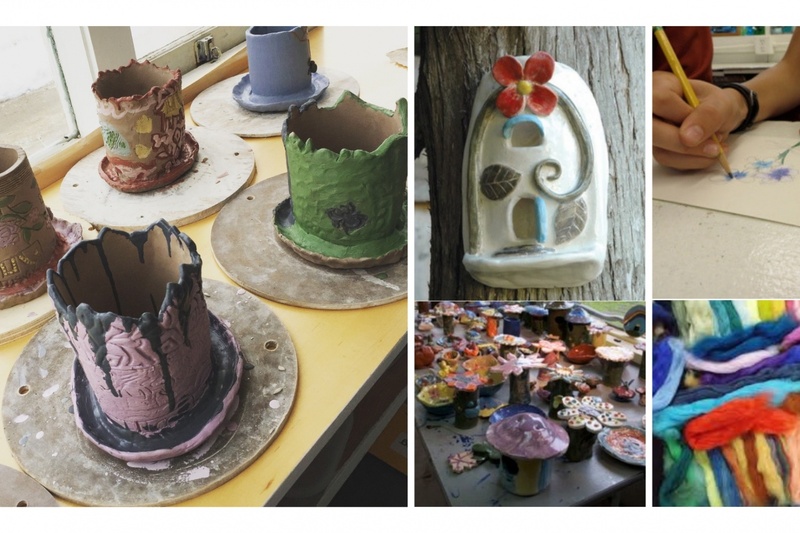 Inspired by gardening, students will learn how to hand-build clay planters, vases, garden markers and more! Then, after lunch, campers will explore a sample of visual arts including painting, printmaking, and fiber arts! Mid way point! Morning in clay studio, afternoon in visual arts studio. Morning in Clay Studio, afternoon in visual art studio.